> News Product News Easy Learning! C-TEC is rolling out a series of free CPD training events across the country. Designed to benefit your business by boosting your knowledge of life-safety systems and legislation, the next event will be held at Leeds United Football Club on Wednesday the 8th of November. The events will run from 10.00am to 4pm and lunch will be provided. 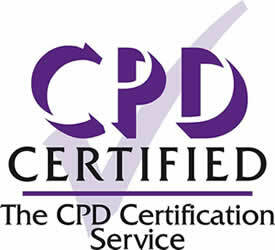 CPD seminars are assessed by independent experts to ensure their educational content is set at an appropriate level. C-TEC's seminars are suitable for an "intermediate" audience meaning that both novice and experienced participants are likely to benefit. Third-party certified to EN54-3 (Sounders), EN54-23 (VADs) and 17 (Isolators) by the LPCB. Impressive 96dB(A) sound output @ 1m. Ideal for disabled refuge, fire telephone and stadium marshalling applications. Allows operators to communicate with up to four disabled refuge or fire telephone outstations. Expandable to 12 lines using an ECU-8 expansion unit. Networking facility allows up to four controllers (plus any expansion units) to be interlinked allowing systems of up to 64 lines to be implemented. Supplied with a backlit LCD and handset. Unique ‘auto-learn’ facility allows fast system set up. Operation can be maintained for 24 hours (standby) and 3 hours (in use) using 2 x 12V 7 Ahr batteries. Ideal for applications where top quality sound is a must - theatres, cinemas, churches, conference halls, etc. Includes two XLR 3-pin input sockets (one balanced mic. and one switchable balanced mic./line) and one outreach connector. Adjustable level controls for all inputs – can be used individually or together as a three-input mixer. Metal compensation control helps offset the frequency response problems associated with excessive metal in a building. Includes a true output current meter and provides visual indication of the amplifier’s compressor action via two LEDs. 3.5mm headphone socket allows true monitoring of the output signal. Advanced audio signal processing with automatic gain control. An award-winning fire alarm solution for flats, apartments, houses of multiple occupation and more. Provides an individual HMO dwelling with its own 2-minute silence facility (to BS 5839-6/12.2b) & 15-minute isolate facility (to BS 5839-6/12.2a). Designed to sit on a communal addressable fire panel’s loop and to communicate its status back to the host panel for building management. Has its own conventional detector circuit, conventional sounder circuit & loop isolator. Fully monitored for open & short circuit faults. Mounts on a standard UK 25mm double gang back box. Derives its power from the analogue loop - no separate PSU required! Reduces false alarms and the likelihood of unnecessary building evacuations, system vandalism and the possibility of true alarms being ignored. C-TEC CAST & Hochiki ESP protocol versions also available.